I like this Joseph Campbell Foundation essay about the cyclical nature of stories and how they interact with the nature of our lives. You’ll find this in Campbell’s writings about The Hero’s Journey, the idea–as the author puts it–that the beginnings we discover in the new year don’t arise from a blank slate. As Frank Herbert mentioned in his novel Dune, the intuitive can look backward in time and see–like footprints across the sand–the steps one has taken to arrive where they are in life at any given moment. Put this in a novel, and you call those steps “the plot” or “foreshadowing.” Story helps us identify these kinds of patterns in “real life” just as “real life” suggests to us the stories we tell, both fiction and memoir. I suppose I was probably destroyed <g> at an early age by the originals of Grimm’s Fairy Tales. Or maybe the vicissitudes of magic led me into a mythic approach to understanding “the big picture” and the storytelling surrounding it. Be that as it may, I enjoy deepening my understanding (or further brainwashing myself) about myths and legends by constantly looking for new resources and re-reading old resources. This past weekend, it was King Arthur and the Holy Grail. I can’t count the number of variations of this story I’ve read since childhood. Early on, I liked T. H. White’s Once and Future King, Mary Stewart’s trilogy, and Marion Zimmer Bradley’s alternative approach in The Mists of Avalon. The approach of these and other authors is as varied as the approach of those credited with the early versions of the stories. This weekend’s reading was Joseph Campbell’s The Romance of the Grail. Campbell, best known for The Hero with a Thousand Faces, spent a lifetime studying the Grail stories. In reading his book, we see immediately that there are two major approaches. One comes from Celtic sources and is probably indigenous to Ireland. This approach sees the Grail stories as a pagan manifestation of tales about fertility gods. The other major approach shows the stories as Christianized, that is to say, in which the Grail was considered to be the chalice from the Last Supper and the lance was said to be the one brought to Britain by Joseph of Arimathea. I see this second approach as a “cleaning up” of older stories so that they were acceptable to the church. Yet another theme, further “touches up” the stories with mythic stories and practices from mysteries out of ancient Greece. Joseph Campbell died in 1987, a few years after Holy Blood, Holy Grail (1982) was published, advancing the theory that Mary Magdalene was, in fact, the Grail, had been Jesus’ wife, and carried his bloodline. I wonder if Campbell was aware of this theory before he died. I tend to like the original sources of myths rather than the glosses painted over them by subsequent poets. So, I see the Christianized versions of the Grail stories as deviant. Yet, those are the versions most people know and accept as part of the entire King Arthur and the Knights of the Round Table storyline. It’s too late to change that, I suppose. Yet, paradoxically, I do wonder about the realities of Mary Magdalene even though she’s outside the Grail romances. One issue that arises when the myths are retold properly (Elliott’s The Waste Land) or badly (Tennyson’s “Balin and Balan” in Idylls of the King) is that modern authors may or may not understand the deeper meanings of the original myths. So, those stories become–to put it crudely–writing prompts that can be spun out into all kinds of fiction that–due to egotism or ignorance–distort the intent of the basic story. Writers of local and regional myths and legends from their own countries face the same problem. We want to base our stories to one extent or another on the legends surrounding the place, but may not have the time or resources to fully explore where those legends came from or why they were passed down through the ages. As writers, we do the best we can because, unlike Joseph Campbell and the Grail stories, we don’t have a lifetime’s worth of scholarship with which to shore up our stories. You can find more information about Joseph Campbell and his work on the Joseph Campbell Foundation website. Whenever we see a beautiful moon, we stand in awe of it. Newspapers and the social media love pictures of harvest moons and blue moons along with suitable scientific descriptions of how and why such moons look the way they look. Click on this lunar calendar to find the calendar for any month. Other than sky shows, we notice the moon less often these days unless we live along the coast and see the changing tides or maintain our farms and gardens by planting by lunar phases. Science and technology have taken us away from the lumation cycle, the interplay of light resulting from the monthly dance of the sun and the moon, so most of us are unaware of the moon’s affect on us throughout each lunar month. In a patriarchal world, the lunar cycles are generally ignored, distrusted or feared because–in a mythic sense–they represent feminine cycles, the unconscious, emotions, and purported instability. In fact, our word “lunacy” stems from an old belief that insanity came with moon phases, and our word “moonstruck” implies that when in love and affected by the moon, we cannot act normally. Since my novel Sarabande is a story of a heroine’s journey, the chapter titles follow the sun/moon lunation cycle in support of the action throughout the book. When the person who formatted the book asked about the significance of these headings, I realized that moon symbolism is not front and center in our daily lives in a world of texting and Facebook posts, jobs and hobbies, relationships with others, or even in our thoughts of day and night. Dark Dawning: New moon (and up to three and a half days afterwards). Life, or any other event, is a potentiality that is felt rather than seen. Think of a seed germinating in the dark earth. Light Quickening: Crescent moon (appearing three and a half to seven days later). A challenging time for moving forward after a first look at the reality of the new moon’s vision. Think of the seed’s first shoots appearing above the ground. Light Ascending: First quarter moon (seven to ten days after the moon was new). A time of conscious steps toward a goal. Think of a plant’s stems and roots forming to support the process of growth. Light Dominant: Waxing gibbous moon (ten and a half to fourteen days into the journey). The vision, development and knowledge to date are fine-tuned to meet conditions. Think of buds appearing on the rose. Summit of Light: Full moon (fifteen to eighteen days into the journey). The promise of the initial vision is realized as a reality in the temporal world and has a transformative condition within. Think of blooming flowers. Stirrings of the Dark: Waning gibbous moon (three and a half to seven days after the full moon). The purpose of the vision comes to fruition, an apt word that means bearing fruit. Withering of the Light: Last quarter moon (seven to ten and a half days after the full moon). With the potential realized, one begins turning away from the task. Think of flowers and stems withering away. Depth of Dark: Waning crescent moon (ten and a half days after the full moon). As the person prepares to fully look within, this phase–also referred to as the balsalmic moon–links life and death, past and future in a way that’s often viewed as destiny before darkness returns and germination begins again with the new moon. The lunation cycle is often described as the result of an interplay between the active sun and the passive or receptive moon. This is somewhat misleading, I think, because it gives the impression that the moon (or the psyche) is accepting and then transmitting light from elsewhere (from without) as though no creative growth is taking place. Darkness and light are often equated logically and symbolically with evil and good rather than as components of an interactive process in which yin and yang are equally necessary. As Dane Rudhyar has pointed out, it’s incorrect to refer to the lunation cycle as a lunar cycle. Instead, it is soli-lunar, that is to say, a cycle of sun and moon in relation to each other like the warp and weft strands of well-woven cloth. Joseph Campbell scholars and Arthurian legends students have been waiting for this volume for a long time. Sponsored by the Joseph Campbell Foundation, this collection focuses on the myths that introduced and excited Campbell about the over-arching mythic theories he spent a lifetime developing. The book’s editor, Evans Lansing Smith became interested in disseminating Campbell’s views of the quests after discovering a typewritten copy of Campbell’s masters thesis “A Study of the Dolorous Stroke” which exams the motif of the wound and wasteland in the stories. The Arthurian myths opened the world of comparative mythology to Campbell, turning his attention to the Near and Far Eastern roots of myth. Calling the Arthurian romances the world’s first “secular mythology,” Campbell found metaphors in them for human stages of growth, development, and psychology. The myths exemplify the kind of love Campbell called “amor,” in which individuals become more fully themselves through connection. Campbell’s infectious delight in his discoveries makes this volume essential for anyone intrigued by the stories we tell—and the stories behind them. When Campbell talks and writes about mythology, he presents the material as though he were there when it happened. He makes complex themes accessible. The Grail stories certainly lend themselves to his expertise and insights. In “The Soul’s Code,” James Hillman writes that each of us has a calling, a mission or objective we are here to accomplish. This calling cannot be documented or measured by mainstream science. Instead, it calls back on “invisibles” as Hillman calls them–the “something more” behind the empirical facts and hard science the mainstream world knows and loves. In Lawrence Durrell’s novel “Balthazar,” one of the characters states that we live our lives based on selected fictions. One might suggest that these fictions–the invisible things we deeply sense and believe about ourselves but cannot necessarily prove in the harsh light of day–when looked at all at once may provide clues about our calling. Behind everything we do, there is not only a series of stories, but a profound, personal myth. If we are accustomed to reading mythology as pseudo-history, an approximation or fanciful version of historical events, or in any other literal way, we are missing the tale behind the tale. 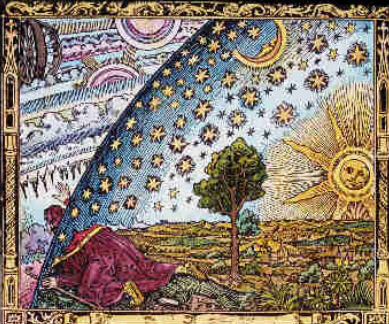 In looking deeper into the each tale, one finds–whether through the commentaries of experts, one’s own study of symbols and cosmology, or our personal intuition–a grander story that imparts a cosmic lesson. Unless you are a teacher and/or student of mythology, the discovery of the lessons that are important in your life and that impact your calling–the secret and invisible knowledge–will happen in part by pondering the myths that keep drawing you back into the books in which you find them. That is to say, your calling is always calling you to the things you need. If you need to know what’s important about Pandora or Theseus or the Argonauts, you will be drawn to these myths. When you acknowledge that you are constantly intrigued by one myth or another, you have an opportunity for looking deeper and discovering clues about where your path lead. October Give-Away: Leave a comment on this post on my Sun Singer’s Travels blog for a chance to win a free audio copy of Jock Stewart and the Missing Sea of Fire. 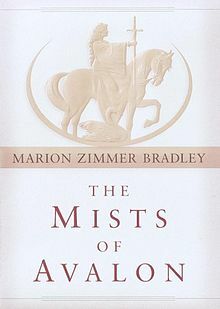 When the late Marion Zimmer Bradley’s The Mists of Avalon was published in 1983, Bradley (1930 – 1999) had already made a splash in the public’s fantasy reading consciousnous with her Darkover Series which she introduced in The Planet Savers in 1958. For a less experienced, less widely known author, tackling and re-imagining the legends of King Arthur and the Round Table from a femine perspective would have been a great risk. After all, whoever writes about King Arthur is not only up against Thomas Mallory’s “Le Morte d’Arthur” (1485), Edmund Spenser’s epic Elizabethan poem ”The Faerie Queene” (issued in 1590 and 1596) and Alfred, Lord Tennyson’s twelve-part Victorian series of poems “Idylls of the King” (issued between 1856 and 1885), but some well-received modern versions of the story as well. Nobel Prize winner John Steinbeck’s “The Acts of King Arthur and His Noble Knights” (posthumously published in 1976), Mary Stewart’s Merlin Trilogy (1970, 1973, 1979) and T. H. White’s “The Once and Future King” (1958) probably top the list. Based on White’s novel, the musical “Camelot” had already made a hit on Broadway in 1960 and as a film in 1967. In her 1983 New York Times review of “The Mists of Avalon,” Maureen Quilligan wrote, “Of the various great matters of Western literature – the story of Troy, the legend of Charlemagne, the tales of Araby – none has more profoundly captured the imagination of English civilization than the saga of its own imperial dream, the romance of King Arthur and the Round Table.” We continue to be fascinated with versions and off-shoots of the story whether they surface in nonfiction accounts such as “The Holy Blood and the Holy Grail” (1982), “The Da Vinci Code” (2003, film in 2006) or the continuing novels in the Avalon Series written by Diana L. Paxson. The myths, whether you see them as illustrations of the hero’s or heroine’s journeys or as tales of struggling peoples of a bygone era, feature larger-than-life personages fighting the powers of darkness and opposing armies in quests focused on personal transformation and/or an ideal society. Merlin’s teachings appear and re-appear in various guises (such as Deepak Chopra’s “The Way of the Wizard: Twenty Spiritual Lessons for Creating the Life You Want”) as lessons for seekers on the mystical path, while King Athur and his knights have been presented—through tales of glory and folly—as archetypes to follow after or to be wary of. The stories of Arthur, his Knights, Merlin, Viviane, Gwynyfar, Morgaine, Igraine, and old Uther Pendragon come to us with such strength that it’s difficult for lovers of fantasy—perhaps even the general public—not to suspect there is a truth or a reality to them that cannot quite be proven. We react to the stories as though the authors are interpreting real events. Perhaps we’ll never know whether there was or wasn’t a King Arthur who had anything in common with the stories we read and rell about him, but we hope there was. What great myths, though! They bring us the best and the worst we can be as humans with hints of the kind of magic many of us hope in our heart of hearts exists alongside our technological world of science and logic. The myths are a part of our shared vision of the world and humankind, waiting, ever waiting for more interpretations, versions and re-imaginings.